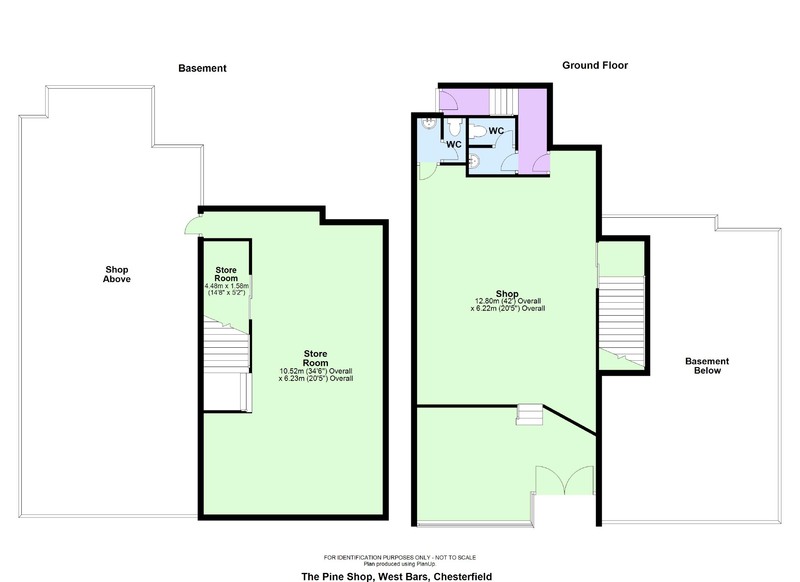 Use basement level ancillary accommodation of 589 sq. ft., 54.76 sq. m approx. OF 1,180 SQ. FT., 109.62 SQ. M APPROX. 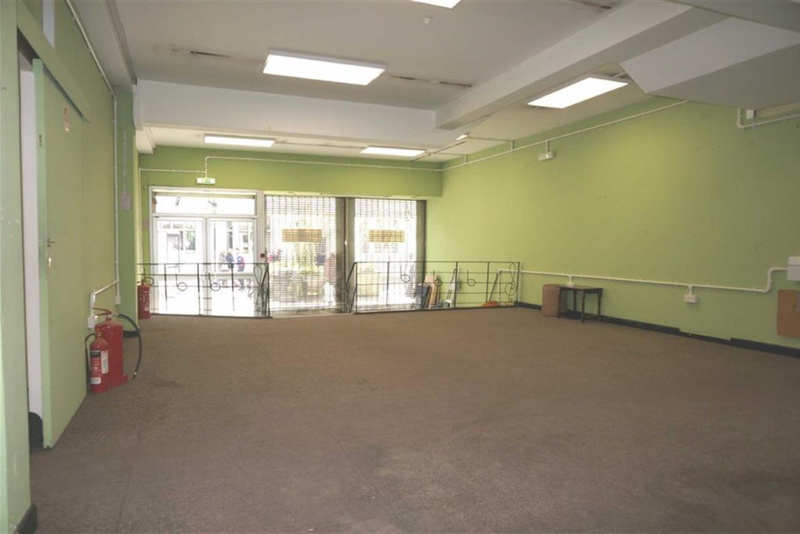 The premises have previously been connected to mains water, electricity and drainage services. Available To Let' on new lease, term and terms negotiable. 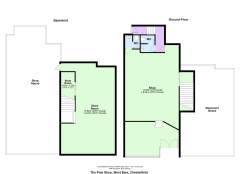 Rental guide £16,000 per annum exclusive of non-domestic rates, V.A.T. And the usual tenant's outgoings. A service charge may be levied to cover the Landlords maintenance and upkeep of the building known as Dents Chambers levied in fair proportion based on floor area occupied. The building is not currently registered therefore Value Added Tax is not currently chargeable in addition to rental sums. Entered in the Rating List at £11,500 Rateable Value under the description shop and :premises. Non-domestic rate charge £5,669.50 at 0.493p in the £ - pro rata 2018/2019 charge period..
Entitlement to small business relief may substantially reduce or even exempt the occupier from payment of non-domestic rate charges under current arrangements. Chesterfield Borough Council, Town Hall, Rose Hill, Chesterfield S40 1LD. Satisfactory references will normally be required to include Bank/financial and possible two trade references, upon letting to a limited company three years audited trading accounts will be required for consideration otherwise Directors sureties and/or suitable rent deposit may be required in confirmation of financial standing. The incoming tenants will be expected to pay a contribution towards the Landlords legal costs plus stamp duty and V.A.T. As applicable in connection with the preparation and grant of the required new lease/leases up to a maximum contribution of £500.00 plus V.A.T. - the amount of which may be retained to defray abortive costs should the documentation be prepared and submitted and the tenants fail to proceed. 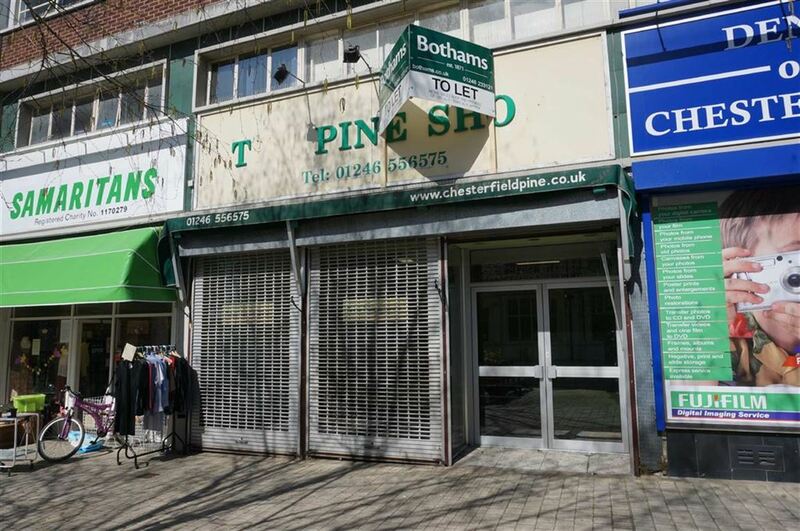 The premises are situated at ground floor level within the landmark building Dents Chambers having a retail frontage to West Bars opposite the Portland Hotel to the west of the west end of The Pavements retail town centre development. Lying due west of the town centre and town centre historic Market Hall and Market Place, nearby shops include long established Dents Chemists and photographic centre, a branch of Subway, the Samaritans charity shop, Bothams Chartered Surveyors and Estate Agents, Dones Bookmakers etc. Etc. The market town of Chesterfield is more generally situated approximately 24 miles to the north of the city of Derby, approximately 11 miles to the south of the city of Sheffield, the surrounding population within the borough is over 100,000 increasing to around 200,000 to take into account peripheral residential districts lying beyond the borough boundary. 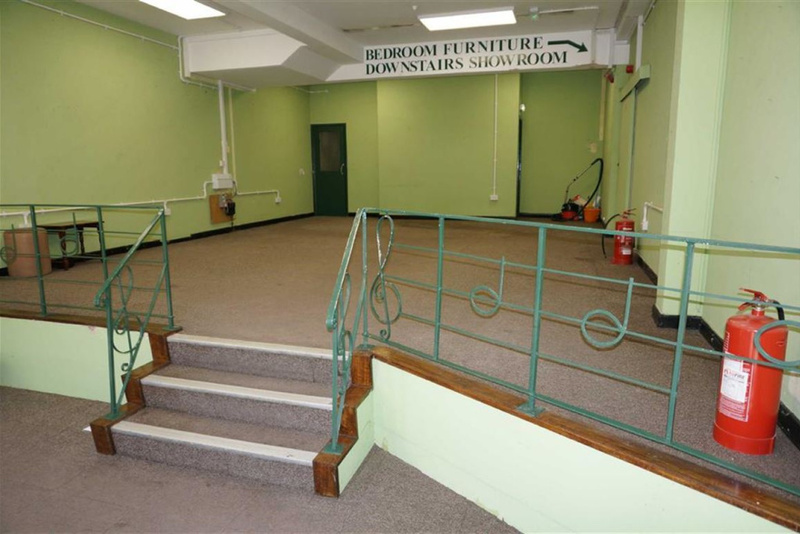 The property comprises a convenient sized retail unit previously occupied as Madins Organ and Music Centre over many years, more recently occupied as The Pine Shop specialising in the retail sales of pine furniture, pictures, picture framing service etc. 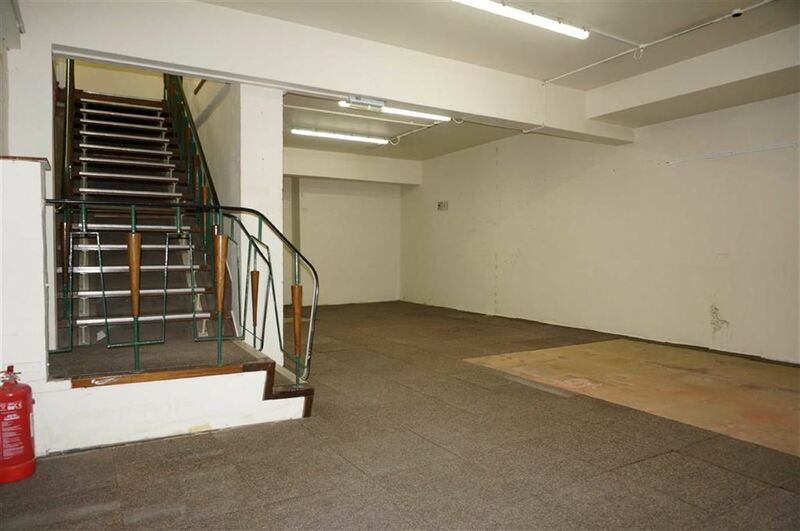 Having a good retail frontage into the front of the sales shop with gentle steps up to the remaining retail area, at the rear there are two toilets with wcs, whbs and a rear pedestrian access and loading facility. 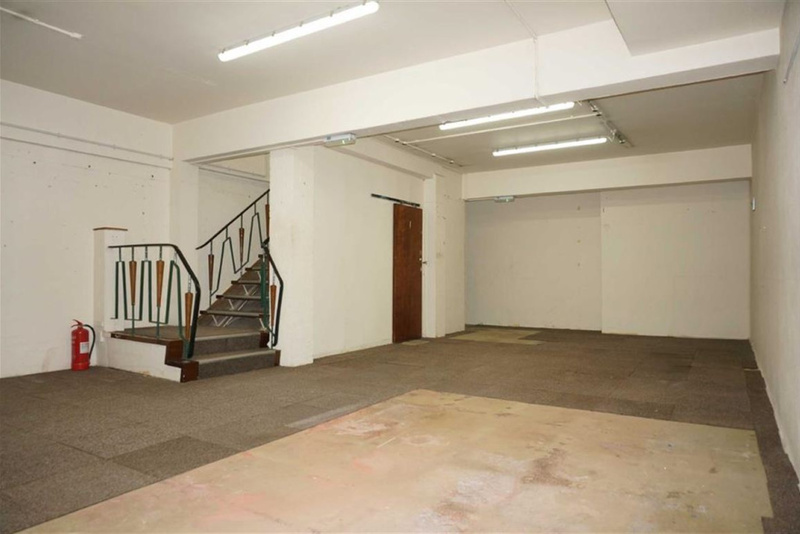 At basement level there is a good sized room previously occupied as a secondary retail sales showroom, suitable for use as ancillary storage and stocking space, office and administrative space as required. The premises are considered suitable for a wide variety of retail trade, business and/or professional uses generally under Class A1 of the Schedule to the Town and Country Planning Use Classes Order 1987, alternative uses may be considered but could be subject to further statutory/planning applications. Pedestrianised west of Market Place frontage enhanced by flower and shrub planters and seating, there is pedestrian access to the rear from the shop to the rear bin storage area at the rear of Dents Chambers/West Bars House. For further information and viewing please contact the letting agents through whom all offers and negotiations should be conducted.